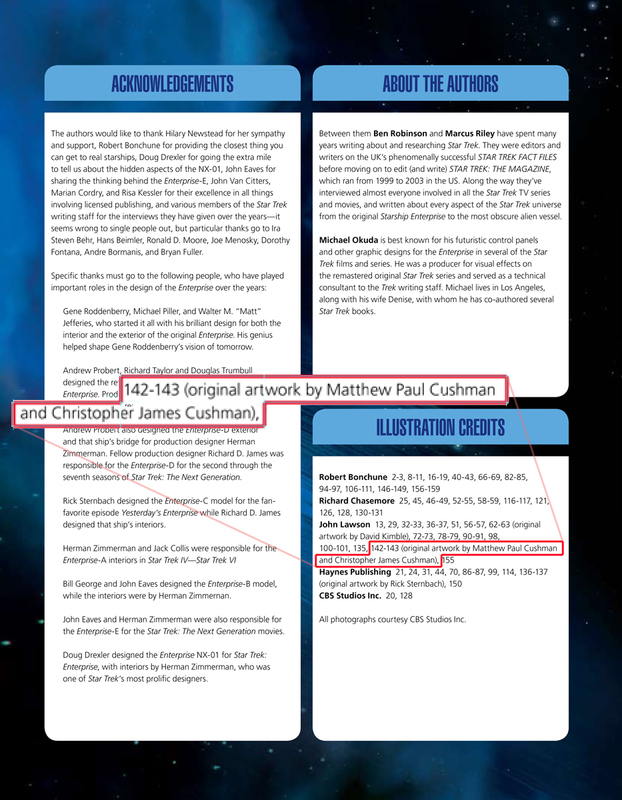 Trek Geek: Credit At Last!! I received my copy of the second printing of the Haynes USS Enterprise manual where the credit page has been amended thanks to Haynes Book Division Editor Derek Smith. For those of you who have read this blog you know that getting credit for work done via our work and in the worst case getting paid as well has been difficult. The poster created by my brother and myself have sold several thousand copies. The creation of the posters has always been a part of a collaboration... a business partnership. The popularity of Star Trek and Star Wars has made our work extremely popular and lucrative and it is a sad irony that as the posters made money the business arrangements would fall under to greed. So getting credit here is the least we were going to expect. Thank you Mr. Smith for being a man of your word... Its nice to know there are good people out there!